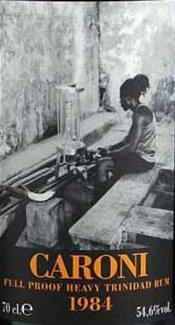 It’s a mind game that never gets old – how many Caroni bottles are there? I speculated that Velier alone likely has around a million in circulation and when one sees an outturn like this – 20,986 bottles! – I think that even though the long-closed distillery’s rums are now becoming must-haves on par with the Demeraras, there’s no danger of running out of possibilities in the near future. Though as I remarked once, when we start to see Caronis being issued from the post-2000 era, the end will be near. Be that as it may, it’s always fascinating to try another one, and this Caroni is no slouch either, like almost all the variations I’ve tried. I’m not one of those deep-divers who dissect a single distillery’s every possible expression up and down the scale until they know them all by their first names, and can write doctoral dissertations in the slightest, most minute details of divergence or similarity from the mean…but after having sampled quite a few, certainly it’s getting easier to see commonalities and aberrations here or there. And, of course, fun. Nose – Rather light florals and some tar, quite restrained here. Batman’s Trojan factory is back, dialled down but quietly asserting its prescence. Acetones. Leather. Caramel, sweet red grapes, cereal and brown bread, nicely balanced. Letting it stand for a while allows yet other aromas of peanut butter and honey to emerge, together with a clear citrus twist for some edge. Palate – Quietly delicious, with a light and crisp sort of snap. Kind of medium heavy to light, really, so don’t be misled by the title of heavy, as this does not refer to the mouthfeel. Caramel, vanilla, florals, some tart soursop and white guavas. Brine and some oak influence are clear, plus an olive or two. Overall, perhaps a bit too crisp – it verges on real sharp-ended jaggedness, without ever quite stepping over the edge. Oh and the lemon citrus remains there throughout, faint but perceptible. Finish – Quite long, but again, light and easy. Hot black tea, tar, caramel, vanilla, brine, leather, nothing really original here, just well-balanced flavours and aromas throughout. Thoughts – Not really one of the best, but even so the general quality can’t be denied. Luca has remarked that he believes this rum (and some others from the 1980s) was put to age at a higher proof than usual (~75%) instead of 65-70%. That might account for the profile. 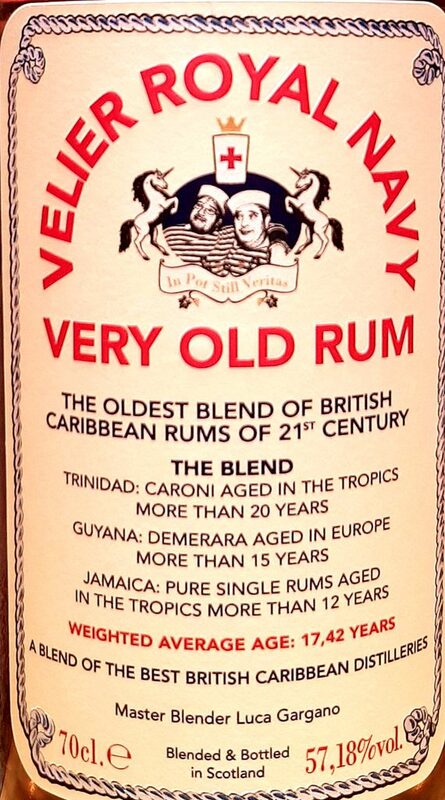 If there ever was a rival to the famed and fabled Demerara rums issued by Velier, it is surely the Trinidadian Caroni line, which is wept over by aficionados and considered the Port Ellen of rum (my personal belief is that Port Ellen is the Caroni of whisky, but anyway…). They hail from the long-shuttered Trinidadian distillery which closed in 2002, and it has now passed into legend how Luca Gargano found thousands of barrels of ageing rum on the estate in a forgotten warehouse, and managed to buy most of them. Points have to be awarded for resisting the urge to blend the lot into a homogeneous, equally-aged mass and selling that in the jillions. What in fact happened is that dozens of expressions of hundreds – or, in many cases, a few or several thousand – bottles apiece exist, just about all greater than ten years old, and many, like this one, over twenty. It’s a treasure trove the likes of which we will probably never see again. We have six Caroni rums from the cellars of Velier to look at over the next weeks. Not a huge amount given my master list so far has 36 entries (and I may have missed a few), but good enough to be going along with. Let’s begin. Nose – Rich and generous, with aromas of tar, rubber, party balloons. Letting it stands allows some evolution to occur, moving towards slight sweetness, bubble gum, acetones, flowers, a little chocolate and honey. In comparison with some of the other Caronis it almost seems delicate, but it isn’t, not really. Palate – Here’s where it comes into its own. It glides on the tongue (that strength is near perfect), giving earthy notes, salty, caramel, cherries, pralines, and some dark bread and cream cheese. A little tar sticks to the back end, and a nice counterpoint of molasses (not much). Also some bitter chocolate and cloves, and the oak is somewhat excessive here, leading to some sharp spiciness that’s not perfectly integrated, yet in no way poorly enough to sink this as a sipping dram. Finish – Long, dry and salty (think maggi or knorr cubes), olives, some herbs, more cloves and coffee grounds, and a last bit of caramel sweetness and nougat. 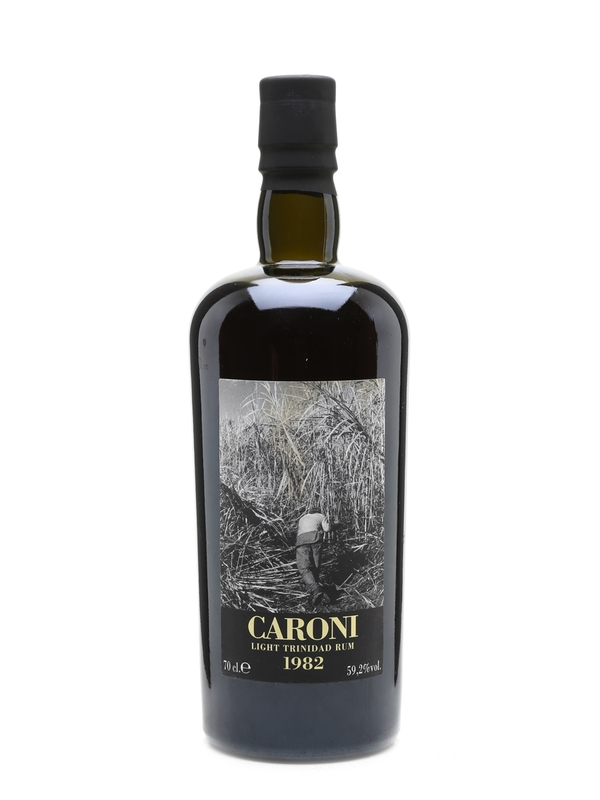 Thoughts – A rich and tasty Caroni, very solid in all the ways that count. Water helps but is not really needed, it’s delicious all its own, if a little sharp. That nose though…really good. 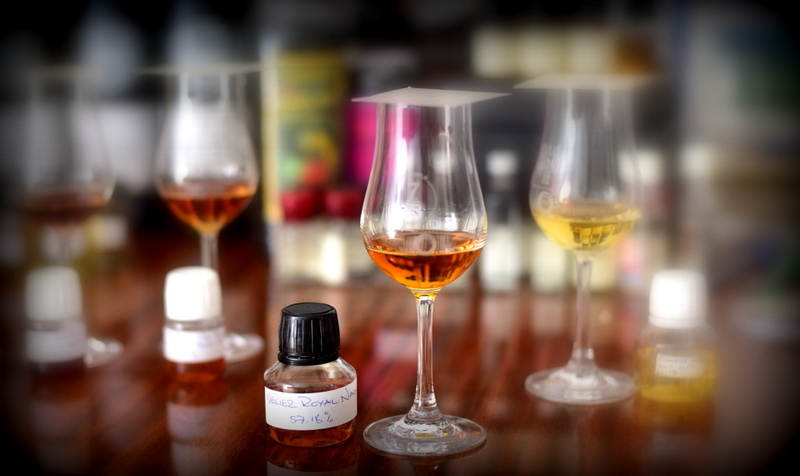 Read in conjunction with DuRhum’s (French-only) massive Caroni tasting dump. This is on Day One. Other Rumaniacs will get their reviews in as well, here.